wan life to live: IT'S GO TIME, PEOPLE. 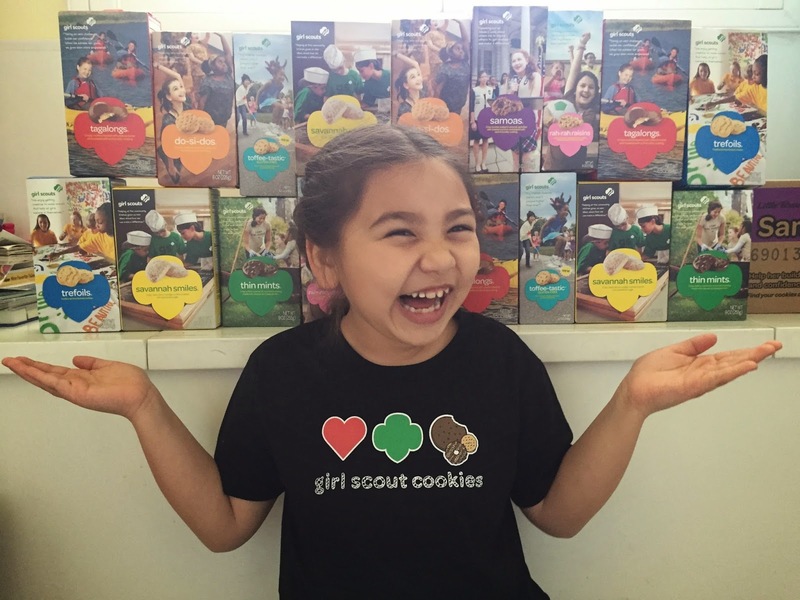 the season of girl scout cookies is upon us! 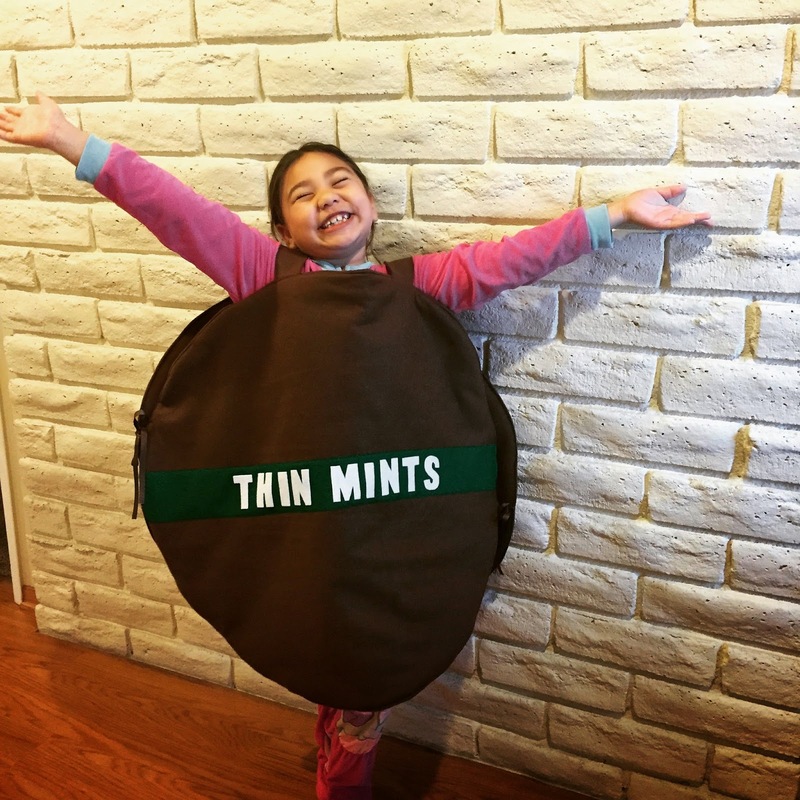 with this being the bean's first year as a girl scout, i'm really excited to see how it all goes. this is their one and only fundraiser as a daisy troop, with the proceeds going towards all of the activities, outings, patches, badges, etc. that we do together. 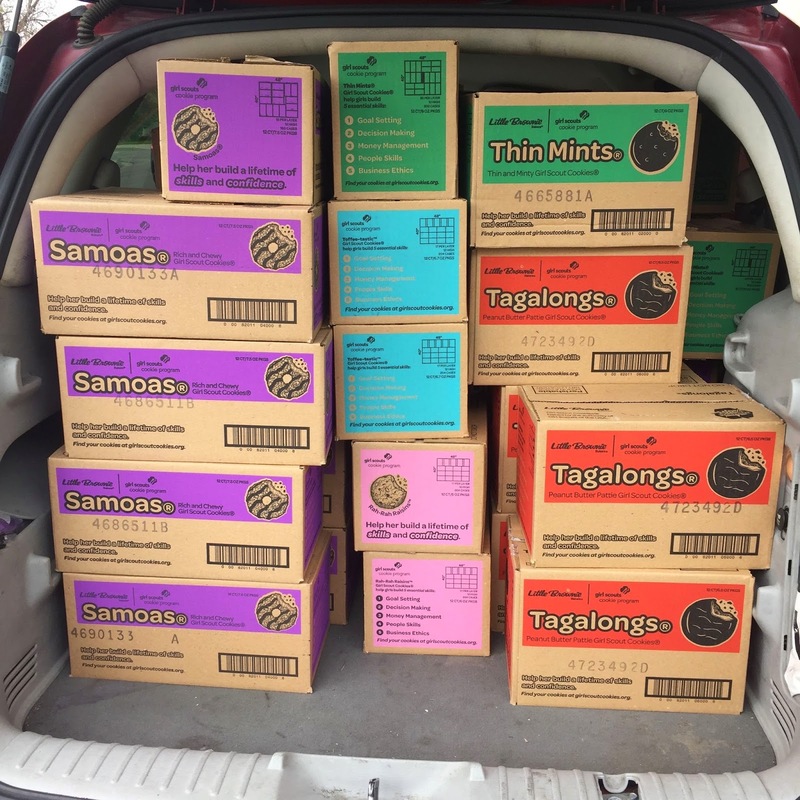 aside from paying their dues (just one dollar per meeting and an annual $50), cookie sales are our only source of income. i never really thought about the financial side of scouting, so i've learned a lot in my short time as a leader thus far. this year, the cookie sale process is different from how it's been in the past. instead of going around and collecting pre-orders, with delivery a few weeks later, we're on a direct sale program. this means that we had to guesstimate how many cases of each flavor we'd sell, place our order, and then when the sale officially begins, we can offer instant gratification. you want cookies? sure! pick your flavor and you're enjoying it two seconds later. 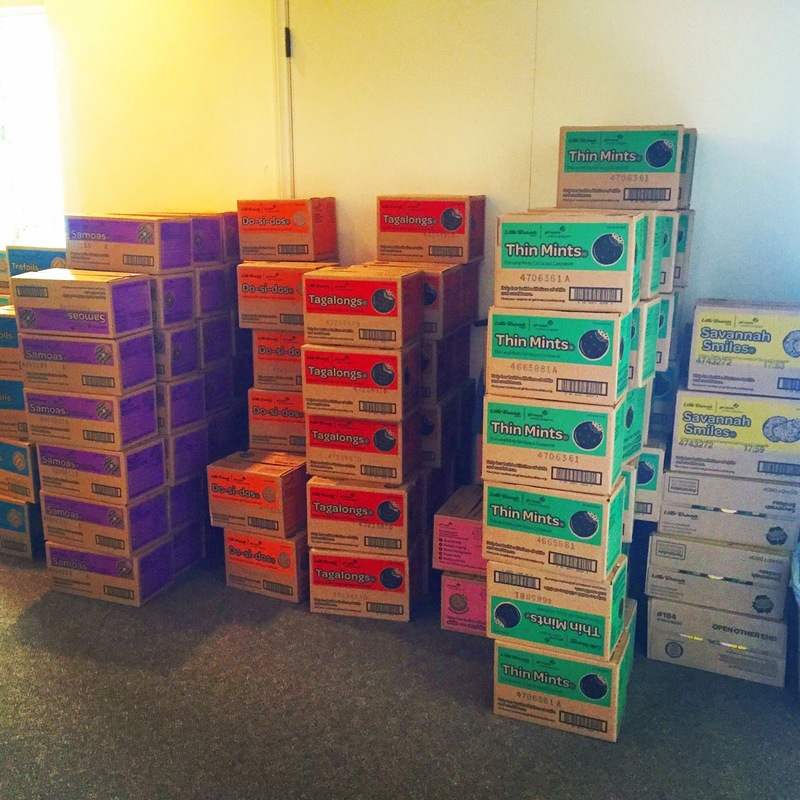 our order was delivered to the local "cookie cupboard" on friday. although we'd anticipated needing all sorts of help in picking up and transporting our 125 cases, we got them to fit in just two vehicles. 125 cases = 1,500 boxes of cookies in assorted flavors. my co-leader did the calculations and when all was said and done, each of our 13 girls received a total of 104 boxes to sell. we picked up a 14th daisy just a couple of weeks ago, and managed to crunch the numbers to get her as many boxes as possible to sell too. with the help of about four daisy moms, we were able to open the cases, spread them out and sort them into 14 stations for the parents to pick up. if you're not already connected to a local troop, the bean and i would be over the moon grateful if you would consider supporting ours. and if you aren't local to us - or maybe don't like or want cookies (which is really weird, but tomay-to, tomah-to), we have a program called "gift of caring" where we happily accept your donation and the total is split up into cookie boxes, which are then donated to local charities. we're also happy to ship cookies to you if you'd like. just drop me an email and let me know which way you'd like to go with this, and troop #1794 will love you forever and ever. after all, how can you say no to this face? ...and we thank you in advance for your support!